Choosing the right conservatory for your home can completely enhance it’s aesthetic, value and functionality. Here at WFS Anglia Ltd we are proud to offer a range of conservatories that can match any and all properties, whether they be contemporary or traditional. Bring added space, light and character to your home, with our exceptional conservatories. To ensure exceptional quality, all of our conservatories utilise the outstanding uPVC profile from Liniar. 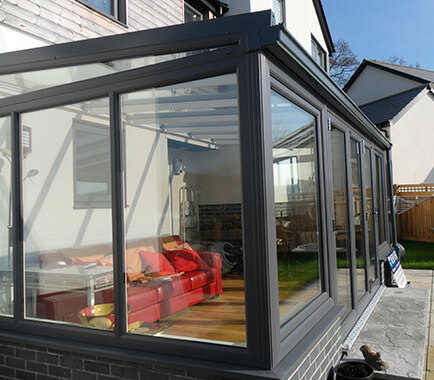 This allows us to combine traditional conservatory design with modern innovation. 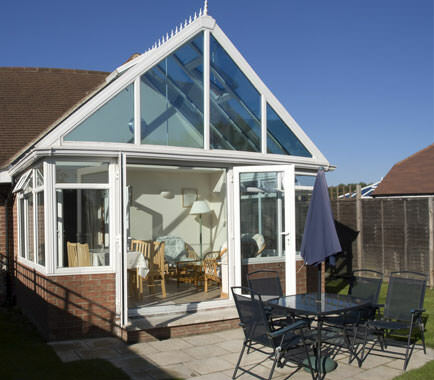 All of our conservatories completely excel in thermal efficiency, security and design. We also supply exceptional Equinox conservatory roofs in order to ensure this high standard of quality is present throughout your whole conservatory. We offer our home enhancing uPVC Conservatories throughout Peterborough, Cambridge, Northamptonshire, Lincolnshire, Buckinghamshire and Milton Keynes. 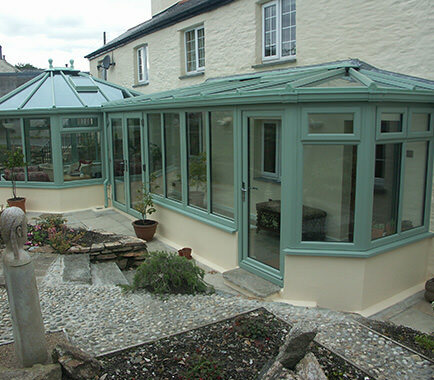 The Victorian Conservatory is the perfect way to bring traditional charm to your home. Exuding an aesthetic that has been loved for generations, the Victorian Conservatory consists of a 3 or 5 facet design. This not only allows for increased space; it also allows for natural light to flood into your property. Although traditional in appearance, the Victorian Conservatory benefits from all the modern advancements in security and performance. These advancements are then combined with subtle design features, including a beautiful cresting that lines the roof and finials, to create a conservatory that satisfies across the board. Offering generous floor space, and a crisp, clean symmetrical design, the Edwardian Conservatory has a lot to offer to homeowners. The universal design will feat seamlessly into any contemporary or traditional homes, and will allow for an increase in functionality. Thanks to the spacious square or rectangular design, the Edwardian conservatory allows you to utilise the extra space in a myriad of ways. With options including, but not limited to, an extra living-room, dining-room, a play-room or a gym, you really can enhance the functionality of your home with our Edwardian conservatories. Cost effective, attractive and wonderfully versatile, the Lean-To Conservatory has proven itself to be an incredibly popular choice. 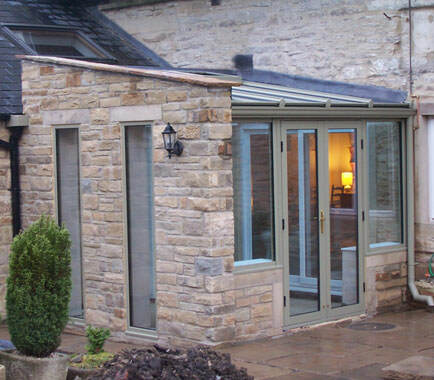 Due to their adaptability, we can guarantee that your Lean-To conservatory will be installed stress-free, efficiently and expertly. Not only can the aesthetic of the Lean-To conservatory complement all types of homes, the Lean-To conservatory also features a low-pitched roof that allows it to be fitted to properties of all shapes and sizes, including bungalows and mid-terraced houses. This is then combined with all the benefits of modern conservatory design, to create an extremely accessible, high quality conservatory. 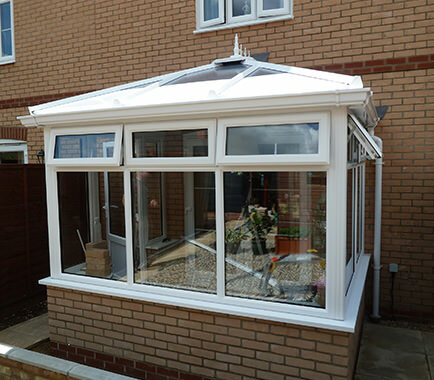 A Gable-End Conservatory is renowned for bringing a sense of grandeur to any home. With the high angled roof, and impressively spacious design, the Gable-End Conservatory effortlessly functions as a beautiful addition to any property. Featuring a stunning ‘rising sun’ roof design, Gable-End conservatories are able to amplify the amount of light that enters your home, and will in turn create an illusion of additional space. Due to their large design, they can easily become a focal point for your home, and will ensure a high level of satisfaction with function and form. A perfect extension for larger properties with unique build space, the P-shaped conservatory efficiently combines the Lean-To conservatory with a Victorian Conservatory design, which is tailored to fit your exact specifications. The two conservatory design enables the P-Shaped Conservatory to not only provide exceptional space, it also allows for multi-functionality. You can choose to have two rooms exist in harmony, such as a living room or dining room, or instead opt for specific function rooms, such as a gym or play-room. 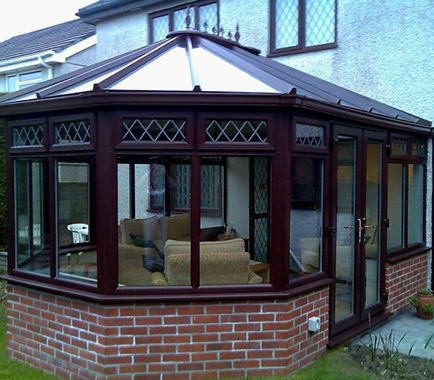 With a P-Shaped Conservatory, the choice is completely yours. Here at WFS Anglia Ltd, we understand that tastes and preferences stretch far and wide. This is why we offer a beautiful Bespoke Conservatory range, that can be completely tailored to you, and your property. We will expertly accommodate for any and all design choices, and we’ll efficiently tweak every detail to make sure it’s the perfect fit. The most versatile choice in our conservatory range, the Bespoke Conservatory is perfect for homeowners who wish to add a personal flair to their property. Not only can our conservatories be a high quality extension for your home, they can be an accurate extension of your character. In order to ensure the highest quality of conservatory available, all of our conservatories feature the market-leading uPVC profile from Liniar. This profile is the only profile to have been designed in the 21st century, and combines a number of features to set the standard of uPVC quality. Achieving exceptional inherent security, the Liniar profile uses internal structures to greatly increase robustness and rigidity. This not only increases overall strength of the profile; it also reduces the need for any costly steel-reinforcement. The multi-chambered design of the Liniar profile ensures an exceptional standard of thermal efficiency. This is achieved by size-optimised chambers breaking up mini-convection currents and trapping in pockets of warm air. 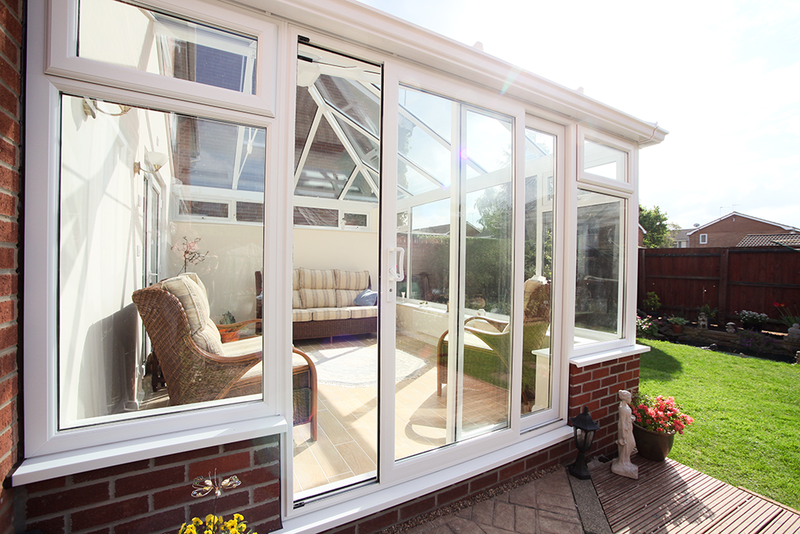 Keep the warmth where you want it, and ensure peace of mind, with a conservatory from WFS Anglia Ltd. Interested in our conservatory prices? Get a free and easy online quote today with us today, and benefit from all the advantages of superb, competitive prices throughout Peterborough, Cambridge, Lincolnshire, Buckinghamshire and Milton Keynes. Alternatively, if you feel you require more information you can get in touch via our online enquiry form, where a member of friendly and helpful team will always be on hand to help.